The last few years gardeners across the country have recognized the value and sense of growing a vegetable garden. Vegetables and herbs have made a huge comeback in the gardening industry after years of dominance by landscaping and flower gardening. During the early 2000’s, so many new, amazing, different flower species arrived on the market that many gardeners drifted away from the work intensive vegetable garden (not so colorful and fun as flowers) and veggie gardens shrunk or disappeared all together as vegetables were abundant and inexpensive. How quickly the garden scene has changed, as prices have more than doubled, the demand for local produce and home-grown quality has boomed, and it’s “cool” again to grow vegetables. As much fun as it is to grow a vegetable garden (serious, how much fun is it to pick a sweet pepper, or pull fresh carrots from the garden and eat them on the back porch!) there is an end goal in mind - the harvest! Not all of us have a large garden spot that can sustain a large family and produce excess food to keep all the neighbors content as well. The size of your garden isn’t so much the issue, as how to get the most out of what you have. The following are my best suggestions to get the most out of your garden without spending the whole summer working to harvest a few potatoes, a handful of cherry tomatoes, and pumpkins for the kids to carve. Let’s make those gardens count! It’s all about maximizing your resources. First, maximize your space. If you have a 5000 square foot garden, maximizing space may not be a priority for you, but if you only have a few 4’x8’ raised beds, then every inch of soil is precious. If space is an issue, don’t grow behemoth pumpkin plants that need a 20’ diameter circle, or cauliflower that take up 10 square feet, but only yield one flower, or potatoes when you can buy a 50 lb. bag in October for $15. Plant vegetables that produce the most for the space that they take, especially quick growing crops like spinach and kale, or fruiting vines that need little soil, and can grow vertically like beans, cucumbers, and tomatoes. Early, cold crops like lettuce, kohlrabi and radishes are usually done by June, and can easily be replaced mid-summer with short-season heavy producers like summer squashes or bush beans. Some crops, like beets or turnips, can be used as greens, as well as allowing them to mature into tasty roots too. Just be mindful of how much space you have, the needs of your plants, and “recycle, re-use, & re-purpose” that soil from snow melt in the spring to first snow in the fall. Second, maximize your time. Some gardeners avoid vegetables because they take more care, more weeding, more time than just dropping some annual flowers in the empty flowerbeds out front and letting them take over for the summer. If you plan it right, vegetables will reward you way more harvest than work required. Gardening is so much easier than it used to be! Timers and soaker hoses or drip systems remove a lot of the daily burdens of water control - my 5000 square foot garden takes me all of 5 minutes a day to unhook the quick connector couplings, move the water hose to the next set of soakers, snap the connectors back on, and make sure the timer is set. I weed multiple times a week in the morning or evenings when it’s cool and comfortable, leaving my phone and other distractions somewhere else, and enjoy the quiet time outside. I spend just long enough to get a row or two weeded, but it never becomes a burden - it’s relax and unwind time. I use a lot of weed barrier fabric or mulches to cover space between plants and rows, so there’s less weeding and watering needed. I’m not joking. Once planted, it takes one person, 15-30 minutes a day, to maintain a 5000 square foot garden. I know. I’ve done it many years running. Third, maximize your production by giving your plants what they need. Improve your soil each year. Make sure your garden gets at least 12-16 hours of sunlight each day. Fertilize your plants with the nutrients your plants need to reach their full potential. Protect your plants from diseases and insects that will damage or limit your harvest. Many times these important steps get forgotten in the process - we just expect the vegetable plants to produce year after year with no regard for their specific needs. I amend our garden soil each fall with organic matter, humate, and zeolite to build up and enrich the soil, to add vital micronutrients and beneficial organisms, and to break down and decrease the clay content. You lose soil every year to erosion and other factors; it has to be built back up each year to compensate for that loss. I fertilize each spring, and multiple times during the growing season with a variety of nutrients and fertilizers that are specific to vegetables and fruits. They need food! Continuous gardening depletes your soil of essential nutrients for your plants, and it must be replenished yearly. As for bugs and diseases, there are so many new ways to combat these pests that are safe, effective, and inexpensive. Two of my personal favorites are: 1) a natural insect repellent that keeps the bugs away from the veggies so I don’t have to spray insecticides and 2) a new biological disease control that naturally kills fungal, bacterial, and viral diseases in the soil and on the plants that is so safe you can harvest and eat the same day it was applied. In the last 2 years I have sprayed for insects 2 times (Grasshopper season!) and the repellent took care of the rest. Without pests, and with the right environment, your garden will produce more than you ever anticipated - and with less work! Maximizing your resources and time will pay dividends during the whole season. With a little planning, some timely soil prep, and a renewed effort on your part to work smarter, not harder, you can produce a consistent garden harvest truly beautiful to behold. And while you are at it, it can reduce stress, lower your blood pressure, improve your health, and just make you happier overall. Who doesn’t want that, and an amazing garden to brag about too? The sun is finally shining, the snow is almost gone, and Spring Fever has hit hard. It’s crazy how many gardeners get crazy with just a little nice weather – I’ve had people in the store today asking for tomato and sweet potato plants already! Just remember, our last frost is around the 20th of May, so in 2 months, you can transplant your sweet potato plants outside safely – 2 months! There are a lot of great early crops that CAN be planted as soon as the soil dries out. 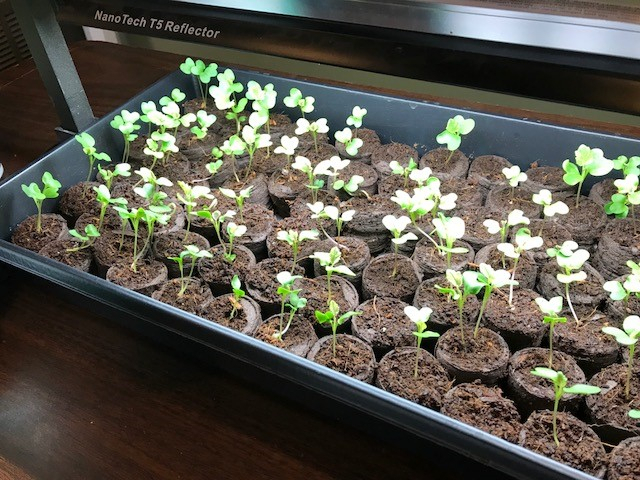 Watch our blog in the next few weeks, because every few days we’ll post all you need to grow all the cold weather crops – peas, spinach, lettuce, kale, cabbage, broccoli, radishes, and so many more. Let’s start with Peas. I think I’ll get mine planted later this week. Cascadia snap is our family favorite. Peas are easy to grow, and one of the oldest and most well-known vegetables, a delight to eat, peas are a staple in practically every garden. Their cool-season success means they can be one of the first things planted in the spring and one of the last to be harvested in the fall, allowing for their nutrient-rich pods to be had practically year-round. Soil Preparation: Peas prefer a heavily mulched, well-draining but loamy soil with plenty of organic matter to hold moisture for the roots to access. In more naturally nutrient-rich soil, peas generally require little fertilizing. In Cache Valley, however, our clay/sandy combo generally needs supplementation. Before planting, incorporate 2-3 inches of well composted organic matter and 1-2 lbs of all-purpose fertilizer (we recommend “That’s All it Takes” complete fertilizer) per 100 ft. sq. and work them into the soil to a depth of 4-6 inches. For container planting, incorporate the fertilizer through the first 4 inches and add a slow release like Garden Code 6 on the top after planting. If you have heavy, clay soils, we recommend 4-6 inches of organic matter and 50 lbs of Utelite or Zeolite per 200 ft. sq. added to the soil each fall for multiple years to increase drainage and nutrient availability. Over time, you can create a better growing environment for your garden plants to thrive in and produce. Please see our information sheet “Preparing your Soil” for more detailed info on soil preparation before planting a garden. Planting: Peas grow best from seed and can be sown directly outside anytime after the ground has become workable after snowmelt. In Northern Utah, this is typically the second week of March to the first week of April. Soaking the seeds 24 hours in advance can help with germination success. Plant seeds about ½-1 inch deep and 1-3” apart, depending on whether the variety is “dwarf” or “standard”. All peas grow best when trellised or supported, though dwarf varieties can be self-supportive when planted close together. Soak the soil thoroughly after planting, and then hold off additional water until the sprouts begin to emerge to prevent root rot and mildew. Keep 2-4 feet between rows for ease of harvest. 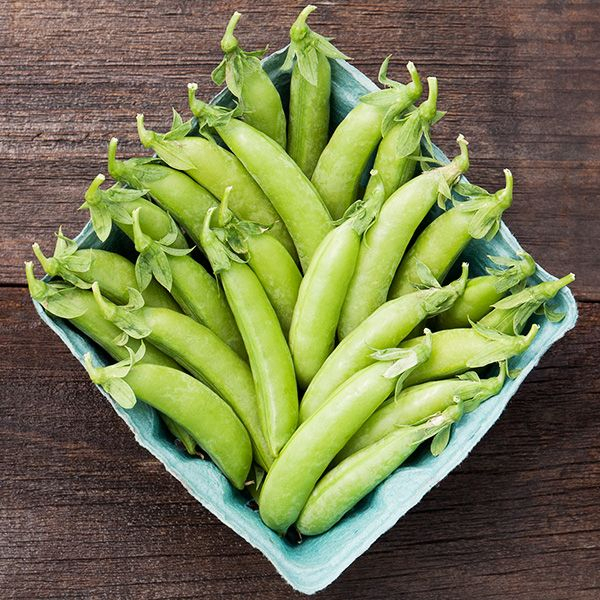 Varieties: At Anderson’s we carry a large variety of English Shelling peas, Sugar Snap peas, and Snow peas. Sugar snap peas and snow peas both have edible pods and can be eaten flat or after the peas have started to develop and fill out. Snap peas actually taste better when you pick them fully developed – Cascadia Snap is our very favorite variety for it crunch and sweet flavor. Snow peas are best when picked young, and can start to lose quality as the peas develop – Oregon Sugar pod has long, sweet, delicious pods that are tasty fresh or stir-fried and cooked. As for shelling peas, Victory Freezer, Green Arrow, and Maestro all have long pods, lots of peas, and amazing quality for fresh eating or freezing. Water: Peas need consistent watering for high quality and quantity production. Water stress during flowering and pod formation will result in flower drop, poor fruit set, and poor quality. Use a soaker hose for uniform water distribution and water lightly every 3 days to maintain soil moisture during these essential growth stages. A light compost mulch can help as well if daytime temperatures start to climb over 90 degrees. Moisture is essential, but too much water can result in root rot diseases and slow plant growth. Be consistent! Fertilizer: Fertilize with a balanced vegetable food (“That’s All it Takes” or Happy Frog Organic Tomato & Vegetable Food) down the side of the row of plants 6 weeks after sprouts emerge. 1-2 cups per 10 feet of row works well. Don’t forget to inoculate your peas with a nitrogen fixing bacteria (Azos). Not only will the beans thrive, and produce more peas for longer, but it will build up your soil with extra nitrogen. We also recommend treating your pea seeds or plants with beneficial microbes and mycorrhizae (Kangaroots or Myke). These added helpers bring nutrients and water directly to the plants that host them, making them stronger, more resistant to insects and diseases, and more drought tolerant. Common problems: For the most part, peas are relatively problem free. Heat and powdery mildew are the biggest enemies to a fruitful pea harvest. Watch for warm days and cold nights and a white, cottony or flour looking growth developing on the leaves or flower nodes of the pea plants. Use Copper Soap to prevent mildew before it happens or clear it up after a light infestation. Pea weevils, armyworms, and aphids also cause issues as the peas reach maturity. These insects are easily controlled with either Natural Guard Spinosad Soap (organic) or Ferti-lome Broad Spectrum Insecticide or Insecticidal Soap. Finally it’s here! Bare root planting season has finally arrived. I love planting vegetables and flowers from seed, to watch them sprout, root and grow into fully developed plants. I feel something very satisfying about the whole process. Taking a full grown plant (or a mostly mature one) from a dormant state and moving it to a new, permanent location, all while it slumbers unknowingly, feels even more satisfying. It’s a huge thrill, like taking apart your best friend’s 68’ Mustang and rebuilding it overnight on top of his flat roofed garage. And then, while standing back and admiring your work, you realize that it just might cave in the roof, a thought that never crossed your mind while working out the details. Yup. That’s the thrill I’m talking about. You’ve felt it, haven’t you? Success, but is it going to last? With my help, I’ll show you how to do it right the first time, and how to shore up the roof, just in case things start looking a little shaky. The first step to bare root success, is to start with good root stock. Whether we are planting a new fruit tree, raspberries, or even onion plants, a good portion of your success depends on the quality of the roots you are planting. Make sure the bare root plants have been attended and cared for properly at the nursery by looking for a few key elements. Are the roots covered with soil? Has the soil been properly hydrated to keep the roots from drying out? How much have the plants started growing out of dormancy? All these factors can effect your transplanting success. Onion plants with dry roots can be easily rehydrated, but raspberries, if those tender root hairs dry out, they are dead before you even get started. Sometimes it really does depend on the type of plant. After selecting your healthy root stock, I always plan on rehydrating the root systems of the plants for at least 24 hours before planting. No matter how careful the nursery has handled and cared for the root stock, I like to rehydrate the plants in a water/root stimulator mixture for 24-48 hours to give the plants the best head start they can have. I use Kangaroots, a natural, organic root stimulator with beneficial microbes and mycorrhizae that will boost a plants root system from minimal root system to hundreds of fibrous roots in just a few days. Those plants need that instant boost of roots to compensate for the damaged or lost root system from when they were harvested originally. Soaking those dry roots can really invigorate them to take hold in their new environment. After rehydrating the roots, take care not to damage the exposed roots as you transplant. The best way to ensure the roots avoid damage is to 1) dig larger (wider especially) holes than what you think the plants might need, 2) incorporate a light compost or planting mix (about 30%) into the existing soil that you removed from the hole and use that mix to make a cone of soil that will support the exposed roots as you backfill the hole, and 3) gently place the roots over the supporting soil and backfill gently, removing as many rocks and other abrasive materials as possible. When planting, most gardeners dig the holes just barely big enough to accomodate the root system, and the rest dig the holes too small. Make the holes at least 2 times wider that the roots at their most extended point, and deep enough to accomodate the plant and where the crown should be situated after backfilling. I recommend a light planting mix or soil building compost to mix into the soil from the hole, sifting out the rocks and other “goodies” that might scrape or damage the tender roots. And definitely don’t forget to shovel soil gently into the hole - I know, these plants are dormant, but they already lost a sizable portion of their roots when harvested, and if you damage the roots more, the tops will never recover from the additional stress. After backfilling the hole, water thoroughly with the Kangaroots or other similar root stimulator for the first 2-3 waterings. Never water just because you think they need water - actually check the soil to see if the plants need it. In many instances, newly planted plants die from too much water as opposed to not enough. When you think the plants need water again, stick your fingers into the soil, if it’s still moist down where the new root system is acquiring moisture, then wait another day and check it again. All of this depends on the size of the plants, new trees will be able to go multiple days if not a week or so between watering, while bare root strawberries might dry out in just a few days. Just remember to check the soil first before adding more water, especially if you have heavier, clay soils. Lastly, remember that to grow into a 5-6 foot tree, or into a 4’ tall raspberry plant, it takes a lot of roots to sustain that growth. When harvested, these bare root plants almost always have lost a large percentage of their root system. It is impossible for a tree that has lost 50% of its roots when dug, to sustain all the leaves and branches that is previously grew. 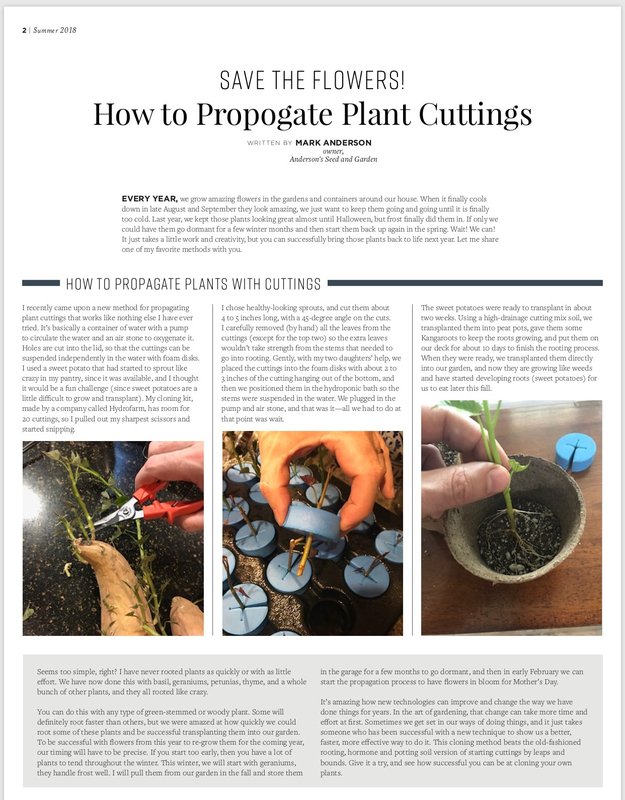 In almost every case, you will have to prune the top of the plant to compensate for that loss of water and nutrient absorbing capacity by an equal amount. Some growers do this for you - grapes that may have grown 4-5 feet tall are trimmed to 10” tall when harvested. That beautiful Honeycrisp apple with perfect shape that you selected, however, may have lost 40% of it’s roots and hasn’t yet been pruned. It’s unrealistic to believe that it’s compromised roots will be able to sustain all that beautiful growth from last season. Prune, prune, prune! You may not like it’s shape afterwards, but at least half the branches won’t die on it (after which you’d have to prune it anyway). Following these easy steps, you can experience the thrill of transplanting bare root plants with impressive results. You may never achieve perfection when transplanting, but with the right methods and tools, it will give you the best chance to aspire to that goal. Bare root plants will save you a lot of money up front, and when planted properly, will give you harvests a plenty. Get out there and get planting! As much as I want to get outside and start planting, Mother Nature has decided to go back to winter again. Seriously, March weather in January and early March, and January weather in late February and early March - it’s so confusing! At least I can control my growing conditions inside when starting seeds, and that is exactly what I’m going to do. 10 days ago I couldn’t help myself, and thought it was a perfect time to start up my new favorite broccoli, Artwork. It is a gourmet, broccolini type plant, that has some major heat tolerance. Even getting it started late last year, it handled the heat up until about the first week of August, then the aphids massacred it anyway. The harvests we did get though, were super tasty and tender. The thin stems felt almost stringless in my mouth. At the same time, I am teaching my “All about Gardening” class and it was time to show the students how to start tomato seeds indoors with a Nanodome - they’d get to see 2 very different crops and how they germinate and grow. Now, you get to see the results too. 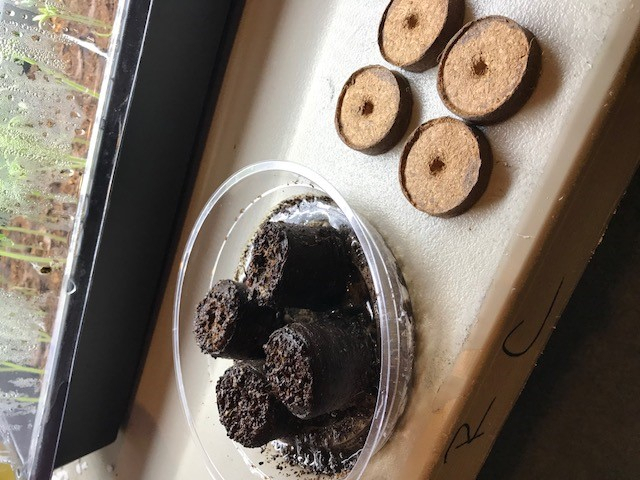 I prefer starting seeds in either coco coir or peat pellets, so I decided to blend the two and use compressed coco coir pellets to start both crops. A standard 10x20 tray will hold about 72 pellets. I hydrate the pellets with warm water mixed with Seed Starter from Baicor. It has a very mild fertilizer and some beneficial microbes in it to encourage seed germination and early vigor from newly sprouted seedlings. Carefully, I placed the seeds in the center depression of the expanded pellets and covered the seeds slightly with the coco coir by pinching the top of the pellets with my thumb and forefinger - so easy! The broccoli will germinate at 40 degree soil temperature, so I just covered it with a humidome, made sure the vents were closed, and placed the tray under a full spectrum light bulb (from Sunblaster, hands down my favorite type of indoor lighting) and kept it in a 68-70 degree environment (no natural light). The tomatoes need more heat, so I place the tray on a heating mat, and covered the pellets with a Nanodome, which includes a full spectrum LED light (also from Sunblaster) and a much taller humidome with vents. 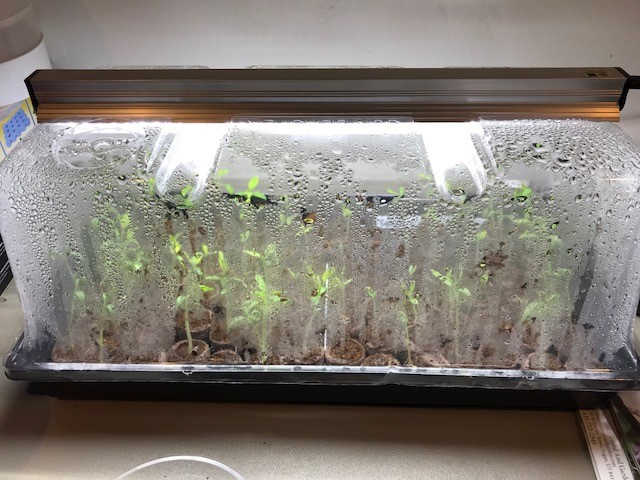 Be sure to close the vents, as it holds the right amount of heat and moisture to get the tomatoes to germinate in about 5 days. The broccoli sprouted in 3 days, and the tomatoes took about 6. After a week, i removed the humidome from the broccoli to help harden off the plants, but the tomatoes I leave the Nanodome on for the first 2 weeks or more, to get full germination and to build sturdy root systems. Seven days after planting, I watered both trays with a combination of Kangaroots from BushDoctor and a mild mixture of Fertelixer from Seedlingers. The seedlings literally jump up and down from the mix, boosting both root development and top growth. It encourages the most amazing root growth from any product I’ve ever used, and encourages sturdy stems and leaves in no time. With a little time, and some help from the best seed starting system I’ve ever used (The Nanodome), my office at work, and my pantry at home, turn into the greenhouse I’ve never had the time to build. In 2 weeks, I’ll update you on the seedlings continued progress, as we transplant the seedlings into 4” peat pots about 3 weeks from seeding. It’s crazy how quickly I can have plants ready to transplant outside with limited space and no sunlight. You too can feel successful growing those varieties you cant find anywhere, or just for the enjoyment of it. Normally there’s not too much excitement going on at the store during January – aside from the Spring Cleaning going on, the garden classes start up, and the new seeds for the year start arriving. It’s a slow time of year, and all we really do is clean up from Christmas, do some painting, clean carpets, and reset the store for Spring. Personally I’d rather just go skiing and hope that Spring arrives at the store without my personal attention, but it has yet to happen. This year was dramatically different than usual. In January I’m always off travelling to various showrooms to buy Christmas merchandise for the next holiday season, which is a very difficult job. It wears out both mind and body. Most people think it sounds like fun, but in reality, after shopping for 3-4 days of straight Holiday décor, you need a week off just to recuperate. When my flight from Florida (working a new import showroom) to Dallas (Holiday Expo 2018) landed and I turned on my phone, the texts, voice messages and photos nearly overwhelmed it. It just kept buzzing. Employees, First Responders, family, and friends had all informed me of the “exciting” development at the store. It’s not really the message that I was expecting when we landed, but tried not to over-react with a plane full of travelers and just tried to get as much info as possible by text. 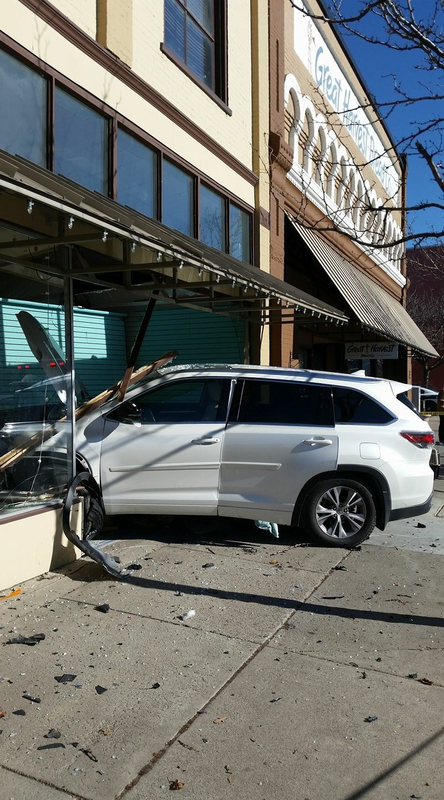 Fortunately no one was hurt. I’m grateful that it was our building instead of our neighbor, Great Harvest, who had a bakery full of students and customers for lunch. Ronnette was still here in Logan, so she immediately called our insurance & brought in the cavalry. 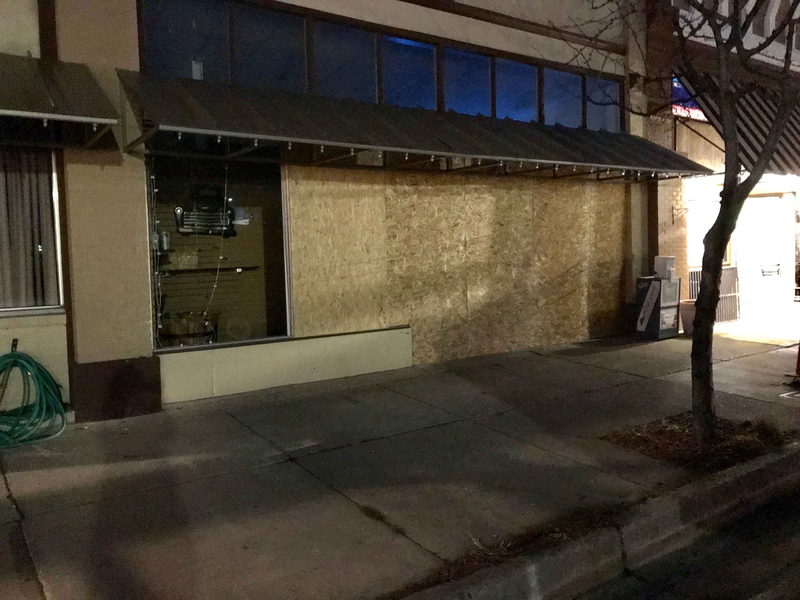 Our contractor, Ray Larsen, dropped everything to come and help clean up, and get the storefront secured before it got too dark. We’ve been overwhelmed with the kind thoughts and sentiments shown to us by hundreds of well-wishers, customers and friends who have checked in on us to make sure we are all ok. Thanks to everyone who helped get it all wrapped up, and everyone who worried about our well being. Stay tuned to see what we come up with for repairs. Maybe it will inspire us to make a few changes around the store. 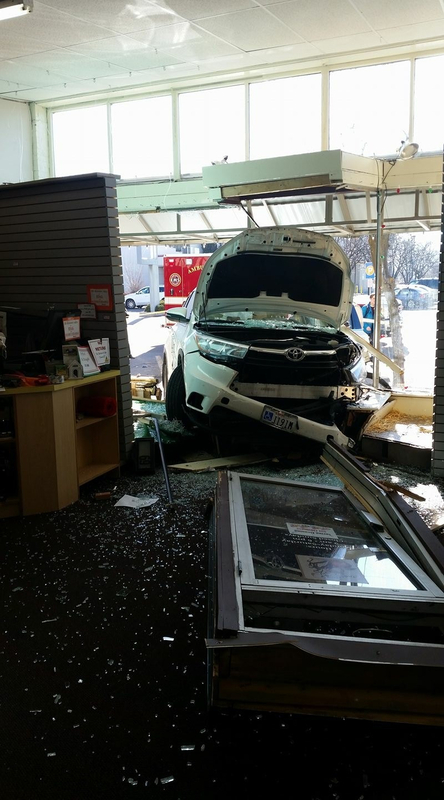 A new drive-up window for online orders? Additional parking stalls? Better ventilation for the sales floor? We’ve heard all the jokes! Watch in the coming weeks for updates about the ongoing “improvements” at Anderson’s Seed & Garden. Winter can last for what seems like forever in Cache Valley. During that cold, dark, and sometimes very dreary period of the year, I love to focus on the upcoming spring and what beauty and wonder nature will have to offer when it awakes. I know there will be days of difficult work to prepare the garden or plant new flowers or plants, but just the anticipation of those days makes winter go by that much quicker. Over the years we have helped a lot of gardeners and home owners design and build their own gardens and through that process have discovered a few basic guidelines that never lose their value. They may seem simplistic, but if you live by these rules, you’ll save a lot of headaches later. Never plant a $100 tree in a $1 hole. 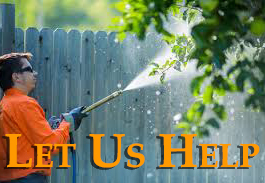 This goes for any type of plant – vegetable, flower, tree or shrub. How can we expect our plants to live and thrive when we don’t prepare and improve the place where they will grow? Often I see trees and shrubs planted in holes that are barely the size of the pot in which they were purchased. The ultimate planting environment for those plants is 2-3 times the size of the pot. The soil removed from the hole should be cleaned of rocks (just the big ones, little rocks are good for drainage) and debris and amended with 25-30% of a well composted soil enhancement – not manure. Most importantly, the new plant and it’s new home needs supplemental microbes, microorganisms and mycorrhizae added to the soil and root zone to build up its natural ability to gather and utilize water and nutrient. Basically, those roots need some love and attention to start working again after being manhandled and amputated during the planting process. When planting new gardens, always start with the largest plants first, then mid-sized, then small. For example, plant trees first, then shrubs, then perennials, then ground covers. This holds true for practical reasons as well as in keeping with design principles. Visually it is easier to compose the garden when you see the proportion of the largest elements after they are added to the “blank canvas.” From a practical perspective, while some gardeners would quickly understand that planting a large tree will allow space and room to work without damaging smaller plants in the process, many gardeners cannot resist the temptation to plant some smaller, easier, more colorful additions first. Resist that urge. Masses of plants, especially smaller plants like flowers and perennials, look amazing compared to a few plants placed sparingly. Look at the beautiful tulip fields in Holland. Masses of tulips catch and hold the eye with amazing colors, yet many gardeners will plant one bulb every few feet and expect to see Holland-like results. From a design perspective, think of a majestic building, like the Pantheon of Greece, if it had different color marble for every column – it would look very different than it did originally. Using a mass of the same plant in a garden design gives a very distinct and specific look that will make your design stand out too. Be flexible, don’t bite off more than you can handle, and have fun. A lot of times we get so involved and determined about our design or our choice of plants or a certain color that we forget that we are doing this for our own enjoyment. We sweat the small stuff too much and miss out on the journey of creating it in the first place. As my wife and I built our home and started to create our landscape, part of the fun was figuring it out together, realizing that we had made mistakes, fixing those mistakes, and then realizing we wanted something completely different as our family grew and our circumstances changed. We would sit down every winter and make a list of needs, wants, and wishes and start on the needs first. Then we would see how far we could get into the wants & wishes before the energy and money ran out. At the end of the year we would assess our progress and it was surprising how many needs and wants we could get done. Then we would make new plans and start our list over again, and start the process all over for the next year. That way we never felt bad over what we didn’t do, but got excited about what we could accomplish together. We were always very happy just to get the needs done, and if we managed to do some wants too, that was icing on the cake. Just remember that yards and landscapes evolve over time, just as our families and ourselves evolve over time. It’s an ongoing process – and whether you like it or not – your landscaping job will never be finished until you become part of the landscaping yourself. Get it? If not, come find me and I’ll explain it…. So, while you wither away inside from the lack of sun and the blistering cold and snow outside, ponder on these few rules of landscaping as you plan out that new patio with raised bed planters, or the scented garden you’ve always wanted. When the time comes to be outside again, you’ll have a blueprint for what you’d like to accomplish outside this coming summer. Equipped with the knowledge to be successful in the garden, you can be creative and let those designs come to life. I can’t wait to see what you create. Nothing gets me more excited about spring than when the new seeds start arriving. Ok, maybe if the sun is out, and the snow has melted, and we can start planting then I would be even more excited – but new seeds to try is always an eye-opener for me. Experimenting with new seed varieties is just downright fun. These new additions include some fun, colorful mixes, some old favorites that we have added to our selection, and a couple amazing new introductions. All of these new varieties are worth looking into if you want something unique and different from what you have grown in the past. I’d have to say that my new blend of heat tolerant lettuce and the Rainbow beet blend are two of my new favorites. I will be planting the Pepitas Pumpkin for sure – who doesn’t want hull-less pumpkin seeds for an easy roasted snack!?! I anticipate most of these to be available by early February, so be patient, they’re not here quite yet. 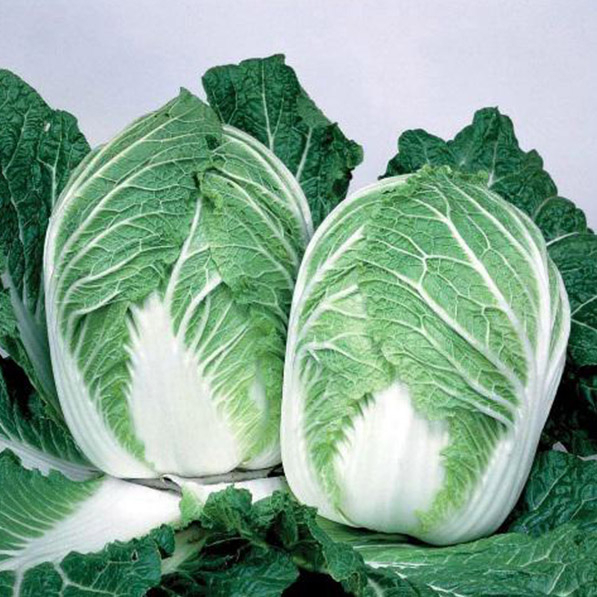 Chinese Express Cabbage: Light green, medium head size. Mild, sweet, and tender crispness. Early, full-sized heads are well wrapped and uniform. 65-80 days to maturity from direct seed. Bolt resistant. 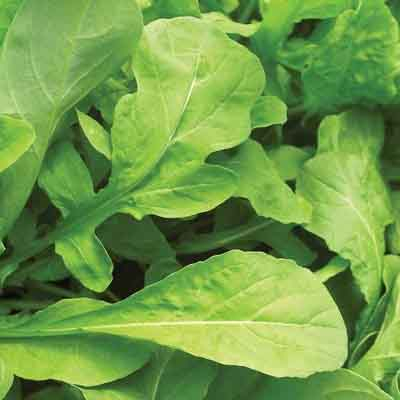 Astro Arugula: Medium green leaves, wide at top with a slight cut to the outer edge. Pleasant, nutty flavor that grows stronger as the weather warms. Slow to bolt, but once it flowers, the tiny blooms can be added to salads for a peppery flavor. Germinates quickly and tolerates hot and cold weather. 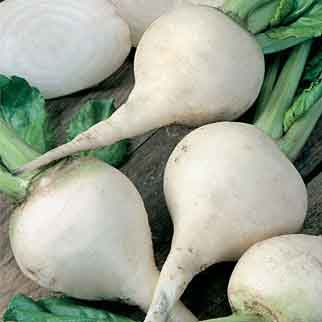 White Albino Beet: Completely white and fairly smooth roots make for a delicious, sweet, mild taste. Heirloom from Holland. About 55 days to harvest. Ideal for eating fresh, boiling, roasting, pickling, and freezing. Rainbow Beet Mix: Rainbow blend is a festive mix of colors and flavors. 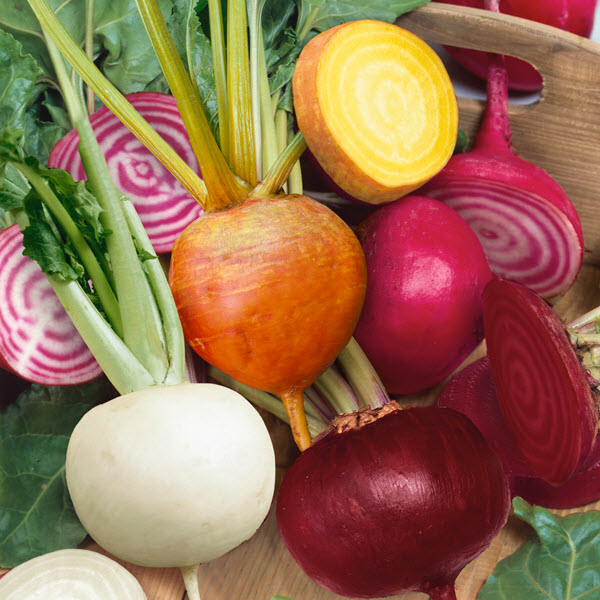 The White Albino Beet, Detroit Dark Red Beet, Burpee Golden Beet all provide a delicious, sweet, mild taste which matches perfectly with the sweet, buttery smooth, striped Chiogga Beet. Kids will love this colorful, flavorful blend! Pepitas Pumkin: Grown especially for its seeds, the Pepita Pumpkin is a winner for decor as well as for the culinary arts. Pepita means "little squash" in Spanish. It’s unique, un-shelled seeds are found only in select varieties of pumpkins. Pepitas lack their tough, outer shell which makes them delicious and easy to eat. 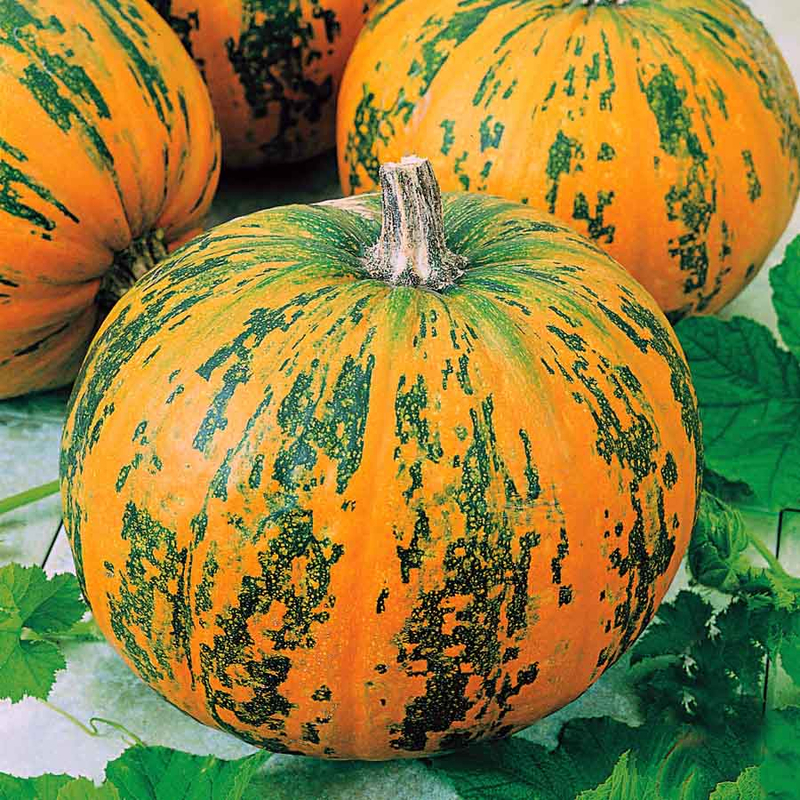 A high yield produces numerous, medium sized (9-12 lbs), orange pumpkins with green stripes at maturity. 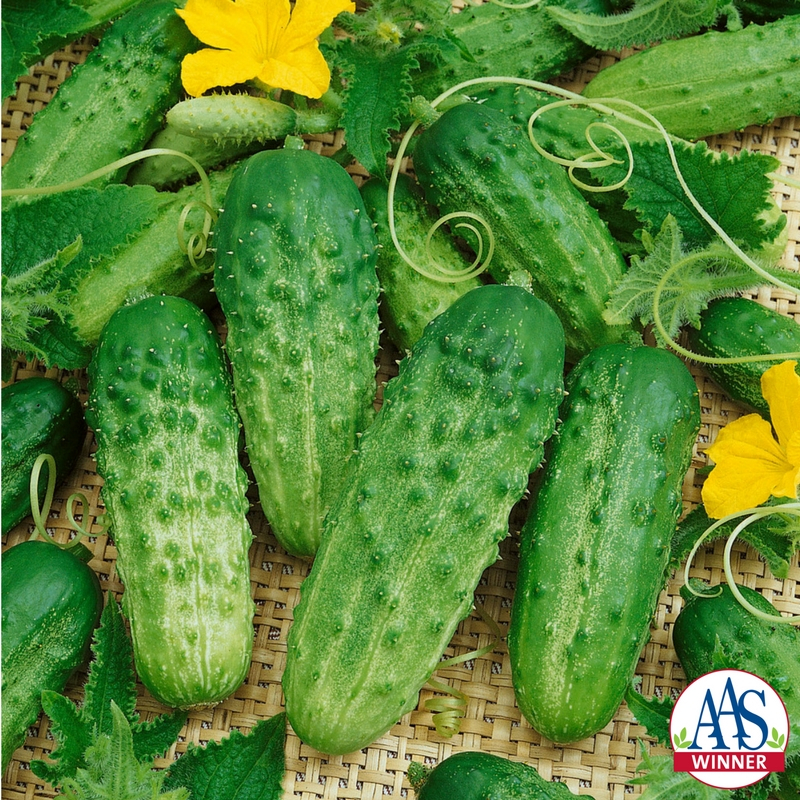 Pick a Bushel Cucumber: This ultra-productive variety sets to fruit early while only spreading out about 24 in. This bush plant grows perfect size picklers that offer a sweet, light taste with a firm texture. Excellent for pickling when harvested early. When left of the vine, fruits can get as long as 6 inches. The perfect variety for a patio container. Mark's Outrageous Heat-Tolerant Lettuce Mix: This incredible, heat tolerant mix contains Outback, Red Sails, Red Romaine, Royal Red, Esmeralda, Summertime, and Simpson Elite lettuce. Each of these varieties can not only be planted and harvested through the summer, but also provide an excellent mix of flavors. 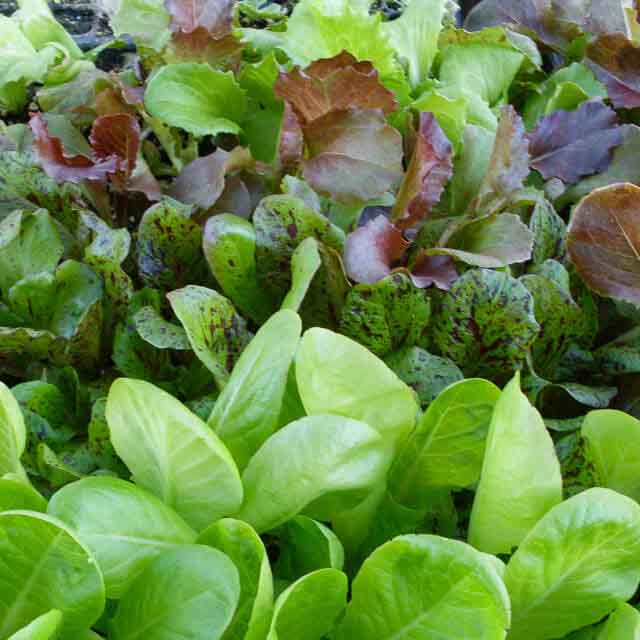 A great mix for late planters and lettuce lovers. 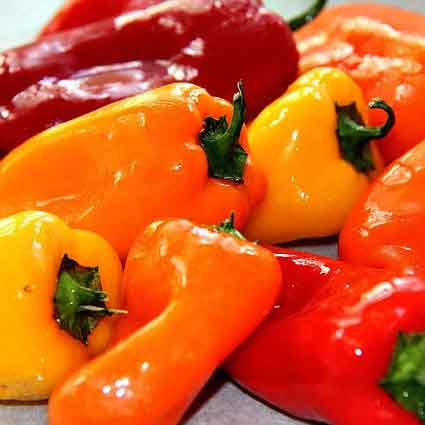 Pretty N' Sweet Pepper: Edible ornamental pepper that is sweet and multi-colored. This compact 18 inch plant is a winner for patio containers, providing a beautiful display while still producing a tasty fruit. This variety has been modified to have a much thicker wall and sweeter taste. Sweeter than Sweet Banana or most sweet bell peppers when mature. Sign up now for Mark's "All About Gardening" Classes in January. Six class sessions (2 hours each) will cover all the essentials to get your garden producing better than ever: Soils, Fertilizers, vegetables, flowers, pruning, watering, basic design, lawns, pests, and so much more. Mark covers the basics, delves into some advanced garden techniques, busts many common garden myths, and every class you get to participate in a hands-on experiment or two. Tuition for the class is $40, but if you bring a friend you can get 2 for $60 instead (save $10 per person). Class will be held every Saturday starting January 27 at 3 pm for 6 weeks. 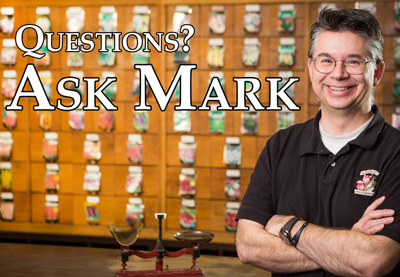 If demand requires it, Mark will hold a second session (time & date TBD). Whether you are an experienced gardener or just a beginner, you won't believe how much you can learn and apply in your own garden from Mark's annual class. Sign up today! Last year we had 28 attendees that had the opportunity to grow their own tomato starts, perform a soil test, grow and taste both sprouts and microgreens, sample our favorite corn of all time “Optimum”, and get to spend 2 hours each week with Mark. Who could ask for more? This year, Mark plans to have even more hands-on experiments as well as a new, updated, more visual presentation (for those students who struggle to stay focused for 2 hours!). In all the years we’ve held this series of classes, no one, beginner and expert gardener alike, has walked away without learning something new about gardening. You really wouldn’t believe how long it has taken to get our new website up and running – try 16 months! In a nutshell it took: months of planning and research, a change in web designers, months of training to do it ourselves, a couple months to build it, an email telling us that our current platform was being cancelled in 6 months, more research to find a new platform host, more months of creation, months of importing and revamping on the new platform, much hair pulling and cursing, and VOILA! We finally have a new, improved, faster, streamlined website! Of course, we have spent a week fixing all the quirks and mistakes we missed the first time, and I’m sure we’ll spend a few more weeks discovering more… but at least we have something to show for it now! The new website includes many of our favorite features from our old site – the google calendar, all our videos & podcasts, information sheets – and some very nice new features too. The shopping cart actually works for online orders & in-store pickup, it calculates shipping costs, and retains your customer info for future purchases. We show up on google maps (how to find us! ), the site searches for everything correctly (and can be searched in turn by google and other search engines), and it links up to our Facebook and other social media pages. And that is just the beginning. It just takes time. I never realized how much time is involved in creating and maintaining a web presence. It’s almost overwhelming. Enough about the new website. 2018 has so much to offer – especially from Anderson’s Seed & Garden. We will host our 3rd Spring Garden Expo on March 3, 2018 and most of our plant and supply vendors will be here to share info on new plants, products, garden methods, pest control, and so much more. Last year we had 5 different local restaurants sharing some of their best tastes as well. The end of March we sponsor the Cache Valley Home & Garden show at the Eccles Ice arena. Of course, we have multiple surprises for April, May, and June (our crazy busy season) and new products and seed varieties galore. I can hardly wait for Spring to come! Believe it or not, we leave next week to go buy Christmas décor for next year. When we get back, it’s Spring Cleaning time at the store, we’ll reset for Spring displays, and basically it will be time for the Spring Expo. Not much time to get ready for the new season. Hopefully I’ve been able to give you a quick view of what is happening here at Anderson’s and what awesome plans we have for spring and summer. Winter just goes by so much quicker when there is something to look forward to in the near future. We seem to constantly look forward to what Spring has to offer.